Jayde Panayiotou's husband Christopher, accused of master-minding the beloved teacher's murder, spent Thursday in court complaining about the conditions in holding cells. During his bail application in the Port Elizabeth Magistrate's Court, his lawyer Terry Price said the conditions in the holding cells at St Alban's prison were ''despicable" and were against the Constitution and the Correctional Services Act. Before the affidavit for his application for bail was read out, the charges Christopher Panayiotou faces were read out to him. - Defeating the ends of justice. Panayiotou, 28, Thando Siyoli, 31 and Sizwezakhe Vumazonke, 30, were arrested in the days following Jayde's disappearance. She was last seen waiting outside their home in Kabega Park for her lift to Riebeeck Park High School on Tuesday, April 21. She was found dead outside Kwanobuhle township in Uitenhage the following day. Panayiotou's arrest was a shock after he had read a moving eulogy at her funeral, which turned out to have been taken in large part from a post on a website. 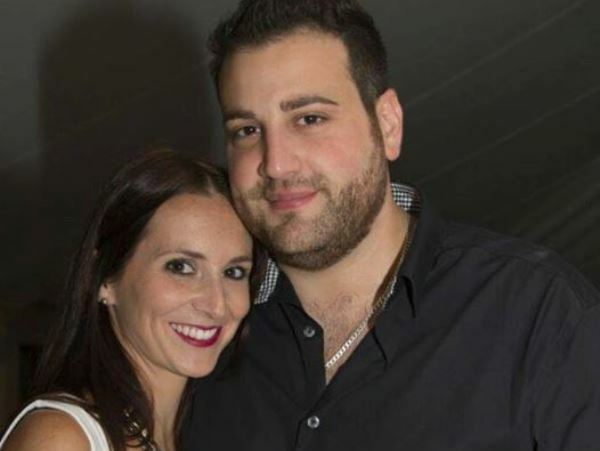 The State indicated that bail for Panayiotou would be opposed as it considered her death a Schedule 6 offence. In terms of the Criminal Procedure Act, this offence is regarded as extremely serious and it is difficult to get bail. His advocate Terry Price presented an affidavit to support his client's bail application, while his family filled an entire bench in the front row to support him. This included his father Costa, mother Fanoula, and his grandmother. Panayiotou had already given his passport to his attorney and had instructed his lawyers to give it to the police if they wanted it. Magistrate Abigail Beaton heard that he runs the OK Grocer in Algoa Park and is responsible for 60 employees. He was aware that the State said it had a strong case, but it also said it had a strong case in the Oscar Pistorius murder trial, and the Paralympic athlete had been granted bail. Panayiotou has indicated that he is prepared to pay whatever the court sets as his bail, and he will be pleading not guilty because no motive for the murder has been put forward. Earlier, Times Media Limited was granted permission to place one camera in the court for live streaming, and one stills camera. Cameras will not be allowed to move or interfere with any of proceedings. No flash photograph or recording of consultations between Panayiotou and his counsel would be allowed. Others could take pictures during the adjournments. Also in court were representatives of the DA Women’s Network, the Commission for Gender Equality's Nondumiso Maphazi, who was given a watching brief by the National Prosecuting Authority, and the deputy chairperson of AfriForum, Kobus Gerber. In his affidavit, Panayiotou said shock or outrage by society at his release on bail did not allow the court to undermine his rights. There had been many other ''more serious'' murders committed where the suspects had been released on bail. If he remained in custody his business would collapse and this would affect his employees, the affidavit said. His counsel had told him that the chances of his trial taking place this year or even in the first half of next year was unlikely and he did not know how long he would survive in the holding cells. Additional affidavits were read into the record to vouch for him as a person, and on his role at OK Grocer, and his other business Infinity Cocktail Bar, also in Algoa Park. In one he was described as "the best boss I've ever had", in another, as a "boss and friend". But Panayiotou's hopes of being home for supper on Thursday were dashed when prosecutor Marius Stander said some of the issues that had emerged from the affidavits needed further information and asked that the case be stood down until Wednesday, May 20. The State would also file its opposing papers on Saturday. Beaton postponed the case until next Wednesday, and Panayiotou would stay at St Albans. She also wanted the investigating officer at court. After a few words in the court with his lawyers, Panayiotou was led back to the holding cells and his parents were allowed to go with him.